Melissa Ambrosini is an Australian health and wellness blogger. After attending her babes not bears event I decided to purchase her e-book because I got a lot out of the workshop and wanted more! The whole process was pretty simple, the website was easy to navigate, I paid using paypal and could download the book instantly. The book is $18 (AUD) and available as a .pdf document. The downside is that for copyright protection purposes you can download the book on one device only. It would have been useful to be able to read it on my computer as well as my phone or tablet device. 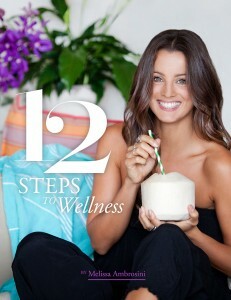 The book contains 12 chapters outlining each ‘step’ to wellness. It comes in at 64 pages and took me about an hour and a half to read on my first perusal (I am a fast reader). If you go through in depth and think about all of the chapters and how they relate to the areas in your life or make notes about changes you want to make it takes a lot longer to read. The focus is more on quality over quantity. Considering the price, for some people many of the concepts, although simple, will be quite profound! It is the kind of book you will revisit and I have gone back and re-read chapters several times. 12 Steps to Wellness is written in clear, easy to understand language, some may find talking about ‘self love’ and ‘wellness’ a bit soppy at first but you can look past that and apply your own meaning, it is not full of vague self help statements but clear simple ideas. It has good production values, containing colourful pictures, quotes and recipes and would make a good coffee table book if it were ever printed. At the end of each chapter there is a “Take Action” section that lists some ideas from the chapter for you to implement into your life right now, they are good suggestions if adopting a whole new lifestyle all at once seems slightly overwhelming! I found them particularly helpful because they were specific and easy enough to implement immediately. 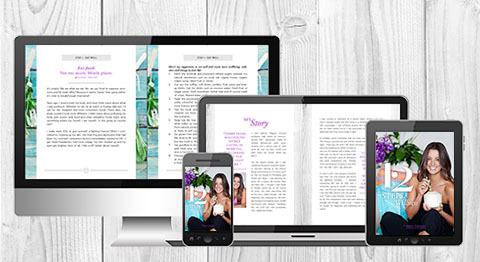 If you have attended one of her events or read her blog posts regularly then there will be parts of the content that you already know, or at least be familiar with, however there are lots of new concepts introduced and the ideas that you do know already are explored in much further depth. Steps 2, 4, 7 and 12 resonated with me the most. I immediately took steps to help ‘detoxify my space’. How much you get out of this book is entirely up to you. If you are in a place where you are open to self improvement and ready to make changes then you will get a lot out of this book. It contains lots of little hints and tips to help get you started on your “path to wellness”. Even if you do not adopt all aspects, there is a lot of useful information. I liked the fact that the book looks at all aspects of you life, your body and health, your mind and your environment around you, a lot of books just focus on one area. My favourite thing about it was that it was real! It is not full of airy fairy ideas, it is specific and makes you really evaluate things that you may already know about yourself and things you have never even thought of. You can buy the book here. If you sign up to receive her newsletter you can download a sample excerpt of the book containing the intro, contents list and first chapter. This will give you a pretty good indication of what it is about and whether or not you want to read more! I would recommend this book for people starting to explore wellness as it is basically a step by step manual on how to address different parts of your life, inside, outside and around you and makes an excellent introductory text. If you are a full on health guru then you may not get so much out of it although I do think that we underestimate how much our thoughts impact on our overall health, so the mental side that 12 steps talks about is definitely relevant to everyone. I personally really enjoyed it and found it very mpotivating and helpful! If you are thinking about buying the book and are not sure, download the sample. 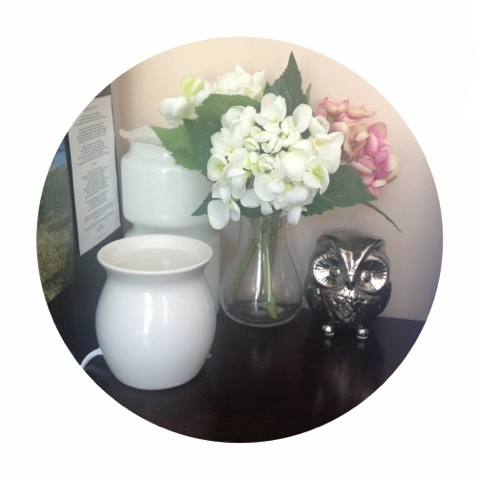 I am not affilated with Melissa Ambrosini in any way, this review is my personal opinion.